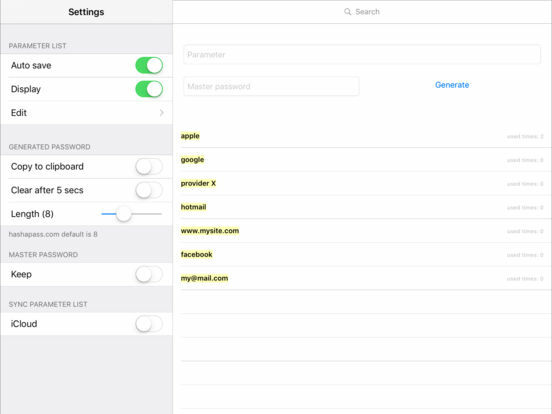 Onepass is a paid version of Hashapass app, including support for iPhone and iPad, iCloud Sync between your devices and a layer protection to keep your master password secure. If you are an Hashapass for iPhone user, you can export the parameters list to Onepass!!! Migrate now and enjoy a lot of functionalities.